May Skate Day is May 8th. 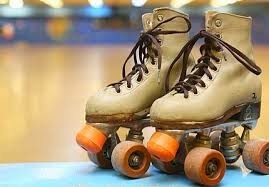 from 1-3pm at the Cullman Skate Center on Hwy 31 N. The cost is $5 per skater, you can also rent a skate helper for $5 per family. This is our last skate day for the school year. We will have a end of year party so bring a snack to share. Also, bring your used curriculum to sale or give away. If you use the envelope system you won't have to stay with your books the whole time. Everyone bring plenty of cash in case you find something you want. 90 county road 1223, Cullman. Phone no. 256-739-4050.